Research into the mechanisms of sensory-motor recovery following stroke. In collaboration with electronics, control, design and signal processing engineers, psychologists and industrial partners; development of technologies for measurement and therapy, including: rehabilitation robots; Functional Electrical Simulation (FES); and non-invasive cortical stimulation. Research into the use and clinical effectiveness of technology in rehabilitation. In collaboration with Health Psychologists; research into motivation adherence in neurological rehabilitation and barriers to adoption of new technologies. Driving change in stroke rehabilitation towards intensive, evidence-based and cost-effective, therapy, using state-of-the-art technology. My work is cross-disciplinary working with electronics, control, design and signal processing engineers, psychologists and industrial partners. Together we develop technologies for measurement and therapy to optimise recovery. Why is intensity of exercise important is stroke recovery, and how can we promote it? Is there a link between regaining trunk control and upper limb function following stroke? Study to find out the opinions of the spinal cord injury community about Neuromuscular Electrical Stimulation (ES) so that the knowledge can be used to direct research, technical development, and clinical and service provision. The aim of this study is to examine the effect of combining transcranial direct current stimulation with robotic hand and arm training for the impaired hand and arm after stroke. This programme of research seeks to significantly improve rehabilitation of the hand and arm following a stroke by investigating the use of assistive technologies to maximise recovery of function. Tedesco Triccas, L., Hughes, A-M., Burridge, J., Din, A. E., Warner, M., & Brown, S. (Accepted/In press). Measurement of motor evoked potential resting threshold and amplitude of proximal and distal arm muscles in healthy adults: a reliability study. Journal of Rehabilitation and Assistive Technologies Engineering (RATE), 1-17. Tedesco Triccas, L., Donovan-Hall, M., Burridge, J. H., Ellis-Hill, C., Dibb, B., & Rushton, D. (2016). Cognitive interviewing techniques: applied in the development of a questionnaire on Functional Electrical Stimulation in Spinal Cord Injury study. International Journal of Therapy and Rehabilitation. Mehrholz, J., Pohl, M., Kugler, J., Burridge, J., & Muckel, S. (2014). Physical rehabilitation for critical illness myopathy and neuropathy (Protocol). The Cochrane Library, (1). Meadmore, K. L. ., Exell, T., Hallewell, E., Hughes, A. M., Freeman, C. T., Kutlu, M., ... Burridge, J. H. (2014). The application of precisely controlled functional electrical stimulation to the shoulder, elbow and wrist for upper limb stroke rehabilitation: a feasibility study. Journal of NeuroEngineering and Rehabilitation, 11(105). Exell, T., Freeman, C. T., Meadmore, K. L., Hughes, A. M., Hallewell, E., & Burridge, J. H. (2013). Optimisation of Hand Posture Stimulation Using an Electrode Array and Iterative Learning Control. Journal of Automatic Control, 21(1), 1-5. Meadmore, K. L. ., Hughes, A-M., Freeman, C. T., Benson, V., & Burridge, J. H. (2013). Participant Feedback in the Evaluation of Novel Stroke Rehabilitation Technologies. Journal of Rehabilitation Robotics, 1, 82-92. Hughes, A. -M., Meadmore, K. L., Freeman, C. T., Cai, Z., Tong, D., Rogers, E., & Burridge, J. H. (2012). SAIL: A 3D rehabilitation system to improve arm function following stroke. Progress in Neurology and Psychiatry, 16(4), 17-19. Tedesco Triccas, L., Burridge, J., Hughes, A-M., Verheyden, G., & Rothwell, J. (2011). Combining transcranial direct current stimulation with robot therapy for the impaired upper limb after sub-acute stroke. Clinical Neurophysiology, 122(S1), S149-S150. Axelrod, L., Fitzpatrick, G., Burridge, J., Mawson, S., Probert Smith, P., Rodden, T., & Ricketts, I. (2009). The reality of homes fit for heroes: design challenges for rehabilitation technology at home. Journal of Assistive Technology, 3(2), 35-43. Metcalf, C., Woodward, H., Wright, V., Chappell, P. H., Burridge, J. H., & Yule, V. (2008). Changes in hand function with age and normative unimpaired scores when measured with the Southampton Hand Assessment Procedure. British Journal of Hand Therapy, 13(3), 79-83. Burridge, J. H., & Etherington, R. (2004). A preliminary clinical study using RF BION® microstimulators to facilitate upper limb function in hemiplegia. Advances in Clinical Neuroscience and Rehabilitation, 4(2), 26-27. Freeman, C. T., Rogers, E., Burridge, J. H., Hughes, A. M., & Meadmore, K. L. (2015). Iterative Learning Control for Electrical Stimulation and Stroke Rehabilitation. (SpringerBriefs in Electrical and Computer Engineering). Springer. Exell, T., Freeman, C. T., Meadmore, K., Hughes, A-M., Hallewell, E., Rogers, E., & Burridge, J. H. (2014). Control in stroke rehabilitation. In T. Samad, & A. Annaswamy (Eds. ), The Impact of Control Technology: Overview, Success Stories and Research Challenges London, GB: IEEE Control Systems Society. Alhwoaimel, N., Ferrari, F., Hughes, A-M., Turk, R., Warner, M., Wee, S. K., ... Burridge, J. (2017). Development and Validation of a Reliable Instrumented Version of Trunk Impairment Scale. Poster session presented at RehabWeek 2017: Translation and Clinical Delivery, London, United Kingdom. Tedesco Triccas, L., Hughes, A. M., Burridge, J. H., Din, A. E., Warner, M., Brown, S., ... Verheyden, G. (2016). Reliability of motor evoked potential resting threshold and amplitude of proximal and distal arm muscles in healthy adults. Paper presented at 9th World Congress for Neurorehabilitation, United States. Tedesco Triccas, L., Burridge, J., Hughes, A-M., Verheyden, G., Deskian, M., & Rothwell, J. (2014). A randomised controlled trial combining transcranial direct current stimulation with unilateral and three dimensional robot therapy for the impaired upper limb in stroke. Poster session presented at World 8th World Congress for NeuroRehabilitation, Turkey. Exell, T., Freeman, C. T., Meadmore, K. L., Kutlu, M., Hughes, A. M., Hallewell, E., ... Burridge, J. H. (2014). Iterative Learning Control as an Enabler for Goal Oriented Upper Limb Stroke Rehabilitation. 4796-4801. American Control Conference, . Brend, O., Banks, T., Freeman, C. T., Hughes, A. M., Luo, L., Robles-Garcia, V., ... Burridge, J. H. (2013). An investigation into functional electrical stimulation induced fatigue and compensation. Poster session presented at Healthy Young and Older Adults Aging Research Exhibition, United Kingdom. Brend, O., Robles-Garcia, V., Banks, T., Luo, L., Zheng, J., Freeman, C. T., ... Burridge, J. (2013). An investigation into functional electrical stimulation induced fatigue and compensation in healthy young and older adults. Poster session presented at Research on Ageing Exhibition, United Kingdom. Tedesco Triccas, L., Burridge, J., Hughes, A-M., Verheyden, G., Deskian, M., & Rothwell, J. (2013). Combining non-invasive brain stimulation with uni-lateral and three-dimensional robot therapy for the impaired upper limb in early stroke rehabilitation. Poster session presented at TMS Summer School, . Freeman, C., Exell, T., Meadmore, K., Hallewell, E., Hughes, A-M., & Burridge, J. H. (2013). Computational models of upper limb movement during functional reaching tasks for application in electrical stimulation based stroke rehabilitation. Paper presented at 4th European Conference on Technically Assisted Rehabilitation, Germany. Pollet, S., Burridge, J., & Conway, B. (2013). Development of a method to measure cortical activity changes associated with robotic upper limb rehabilitation after stroke. Poster session presented at Society for Research in Rehabilitation Winter 2013 Meeting, United Kingdom. Exell, T., Freeman, C., Meadmore, K., Kutlu, M., Hallewell, E., Hughes, A-M., ... Rogers, E. (2013). Goal Orientated stroke rehabilitation utilising electrical stimulation, iterative learning and Microsoft Kinect. Paper presented at International Conference on Rehabilitation Robotics 2013, . Hallewell, E., Meadmore, K. L., Hughes, A. M., Exell, T., Freeman, C. T., & Burridge, J. H. (2013). Goal-orientated functional rehabilitation using Electrical Stimulation and Iterative Learning Control for motor recovery in the Upper Extremity Post-Stroke. 104-107. Paper presented at 18th IFESS Annual Conference, . Hallewell, E., Exell, T., Meadmore, K. L. ., Freeman, C. T., Kutlu, M., Hughes, A-M., & Burridge, J. H. (2013). Goal-orientated Functional Rehabilitation using Electrical Stimulation and Iterative Learning Control for Motor Recovery in the Upper Extremity Post-Stroke. Poster session presented at UK Stroke Forum Conference, . Exell, T., Meadmore, K. L., Burridge, J. H., Freeman, C. T., Hallewell, E., Hughes, A. M., ... Warner, M. B. (2013). Robotic support during stroke rehabilitation: A case study comparison of robot-assisted and free movement during a functional reaching task. Poster session presented at The Society for Research in Rehabilitation Winter Conference, United Kingdom. Exell, T., Freeman, C. T., Meadmore, K. L., Hughes, A. M., Hallewell, E., & Burridge, J. H. (2013). Stimulation of Hand Postures Using an Electrode Array and Iterative Learning Control. 88-91. Paper presented at 18th IFESS Annual Conference, . Meadmore, K., Exell, T., Hallewell, E., Freeman, C., Hughes, A-M., Kutlu, M., ... Rogers, E. (2013). Upper limb stroke rehabilitation using functional electrical stimulation mediated by iterative learning control. Paper presented at 4th Annual Conference of the International Functional Electrical Stimulation Society (UK and Ireland Chapter), . Tedesco Triccas, L., Burridge, J., Hughes, A-M., Verheyden, G., & Rothwell, J. (2012). Combining non-invasive brain stimulation with unilateral and three-dimensional robot therapy for the impaired upper limb in early stroke rehabilitation. Poster session presented at Transcranial Magnetic Stimulation (TMS) Summer School, United Kingdom. Tedesco Triccas, L., Burridge, J., Hughes, A-M., Desikan, M., Verheyden, G., & Rothwell, J. (2012). Combining non-invasive brain stimulation with uni-lateral and three-dimensional robot therapy for the impaired upper limb in sub-acute stroke. Poster session presented at Society for Research in Rehabilitation Meeting, United Kingdom. Tedesco Triccas, L., Burridge, J., Hughes, A-M., Verheyden, G., & Rothwell, J. (2012). Combining transcranial direct current stimulation with robot therapy for the impaired upper limb after sub-acute stroke. Poster session presented at Research in Primary and Community Healthcare Settings: Showcasing the Patient Benefit Conference organised by Southampton and Solent NHS Trust, United Kingdom. Pollet, S., Burridge, J., & Conway, B. (2012). Cortical activity changes among stroke patients following robotic upper limb rehabilitation as measured by EEG during reaching movements. Poster session presented at WCNR 2012: 7th World Congress for NeureRehabilitation, Australia. Hughes, A-M., Exell, T., Meadmore, K., Soska, A., Freeman, C., Burridge, J., & Rogers, E. (2012). Functional Electrical Stimulation and Iterative Learning in stroke rehabilitation for the upper limb. Poster session presented at SET for Britain 2012, United Kingdom. Verstappen, R. J. L. M., Freeman, C. T., Rogers, E., Sampson, T., & Burridge, J. H. (2012). Robust higher order repetitive control applied to human tremor suppression. 1214-1219. Paper presented at IEEE Multi-Conference on Systems and Control (MSC 2012), Croatia. Tedesco Triccas, L., Burridge, J., Hughes, A-M., Verheyden, G., Desikan, M., & Rothwell, J. (2012). TMS Summer School, Oxford UK. Poster session presented at Magstim Neuroscience Conference and Workshop 2012, United Kingdom. Exell, T., Burridge, J. H., Freeman, C. T., Hallewell, E., Hughes, A. M., Meadmore, K. L. ., ... Warner, M. B. (2012). Upper limb coordination during reach to grasp tasks performed at self-selected and maximal speeds. Paper presented at Biomechanics Interest Group 2012 (BIG 2012), Nicaragua. Fitzpatrick, G., Balaam, M., Axelrod, L., Harris, E., McAllister, G., Hughes, A. M., ... Robertson, Z. (2010). Designing for rehabilitation at home. Paper presented at ACM Conference on Human Factors in Computing Systems, United States. Turk, R., Burridge, J. H., & Simpson, D. M. (2010). Exploring wrist motor control in stroke patients, using a target tracking task. Paper presented at Medical Physics and Engineering Conference and Bioengineering, United Kingdom. Turk, R., Simpson, D. M., & Burridge, J. H. (2010). Quantifying motor impairments at the wrist post-stroke: does finger position matter?. Paper presented at Society for Research in Rehabilitation Winter Meeting, United Kingdom. Turk, R., Simpson, D. M., & Burridge, J. H. (2010). Wrist motor control and coactivation during step-tracking in post-stroke hemiplegia and unimpaired adults. Paper presented at 18th International Conference of the Society of Electromyography and Kinesiology, Denmark. Turk, R., Simpson, D. M., & Burridge, J. H. (2009). A pilot study to investigate the association between muscle activation patterns, wrist tracking performance and upper limb function in post-stroke hemiplegia. Paper presented at Society for Research in Rehabilitation Summer Meeting, United Kingdom. Turk, R., Simpson, D. M., & Burridge, J. H. (2009). Coactivation during wrist movement: relationship with motor control and upper limb functional activity in post-stroke hemiplegia. Paper presented at Physiotherapy Research Society, United Kingdom. Metcalf, C., Collie, S., Cranny, A., Hallett, G., James, C., Adams, J., ... Burridge, J. (2009). Fabric-based strain sensors for measuring movement in wearable telemonitoring applications. 1-4. Paper presented at Assisted Living 2009, . Turk, R., Burridge, J., Merrill, D., Hughes, A. M., Cosendai, G., & Schulman, J. (2008). Clinical effectiveness and participant perceptions of an implanted closed-loop neurostimulator-sensor system for arm rehabilitation post-stroke. In IFESS 2008: Proceedings of 13th Annual International FES Society Conference (pp. 43-45). Freiburg, Germany: International Functional Electrical Stimulation Society. Simpson, D., Turk, R., Notley, S. V., Wright, P. A., & Burridge, J. H. (2008). Functional movement in stoke victims and assessment of wrist control. In S. I. Kim, & T. S. Suh (Eds. ), World Congress of Medical Physics and Biomedical Engineering 2006 Seoul, Korea: Springer Verlag. Metcalf, C., Burridge, J., Chappell, P., & Yule, V. (2007). Differences in wrist movements during weighted lifting tasks II. 13. 3rd LSI Conference, United Kingdom. Metcalf, C., Yule, V., Chappell, P., & Burridge, J. (2007). The effects of handedness on movement strategies of the wrist. International Society of Biomechanics (ISB XXI Congress Taipei 2007), . Simpson, D. M., Turk, R., Notley, S., Wright, P. A., & Burridge, J. H. (2006). Functional movement in stroke victims and assessment of wrist control. Paper presented at World Congress on Medical Physics and Biomedical Engineering, . Simpson, D. M., Turk, R., Notley, S., Wright, P. A., & Burridge, J. H. (2006). Muscle activation in wrist movement of stroke victims and unimpaired subjects. In Proceedings of Annual Scientific Meeting & IBEX 2006 Exhibition (pp. p.59). York, UK,: Institute of Physics and Engineering in Medicine. Simpson, D. M., Turk, R., Notley, S. V., & Burridge, J. H. (2006). Muscle activation in wrist movement of stroke victims and unimpaired subjects. Institute of Physics and Engineering in Medicine Annual Scientific Conference, United Kingdom. Cosendai, G., Burridge, J. H., Turk, R., Davis, R., Sparrow, O., Roberts, H., & Schulman, J. (2006). Post-stroke upper extremity rehabilitation using 5-7 implanted microstimulators: Safety and control systems. 11th Annual Conference of the International Functional Electrical Stimulation Society (IFESS 2006), . Turk, R., Burridge, J. H., Davis, R., Cosendai, G., Sparrow, O., Roberts, H., & Schulman, J. (2006). Post-stroke upper limb rehabilitation using 5-7 implanted microstimulators: Changes in function, spasticity and motor control after a 12 week home exercise programme. Poster session presented at UK Stroke Forum Conference 2006, . Metcalf, C. D., Chappell, P. H., Yule, V., & Burridge, J. H. (2005). Differences in wrist movements during a clinical hand function test. 41-42. Poster session presented at 4th IEEE EMBSS UK & RI Postgraduate Biomedical Engineering & Medical Physics Conference, Reading, United Kingdom. Metcalf, C., Burridge, J., Chappell, P., & Yule, V. (2005). Differences in wrist movements during weighted lifting tasks I: a kinematic study. 29-30. 2nd LSI Conference, United Kingdom. Metcalf, C. D., Yule, V. T., Burridge, J. H., & Chappell, P. H. (2005). Enforcing cyclic movements of the upper limb for movement analysis systems. Paper presented at Bath Hand & Wrist Biomechanics Symposium, United Kingdom. Notley, S. V., Turk, R., Burridge, J. H., Cosendai, G., & Ripley, A. M. (2005). Sensors for open loop control of reaching and grasping using the BION microstimulators. 10th Annual Conference of the International Functional Electrical Stimulation Society (IFESS), . Turk, R., Burridge, J. H., & Notley, S. V. (2005). Validity and reliability of a tool to measure impairment changes in preparation for the RF Bion® micro-stimulator upper limb project. 10th Annual Conference of the International Functional Electrical Stimulation Society (IFESS), . Turk, R., Burridge, J., & Taylor, P. (2004). The influence of left hand movement using neuromuscular electrical stimulation on unilateral visuo-spatial neglect following right-sided stroke. 1st Regional Meeting of the World Forum for Neurological Rehabilitation (WFNR) Evidence-based medicine in neurorehabilitation, . Burridge, J. H., Mann, G. E., Malone, L., & Taylor, P. N. (2002). A randomised controlled pilot study to investigate the effect of Neuromuscular Electrical Stimulation on upper limb function and hand sensation following stroke. In 7th Annual Conference of the International Functional Electrical Stimulation Society. Proceedings (pp. 243 - 245). Glendale, USA: International Functional Electrical Stimulation Society. Swain, I. D., Burridge, J. H., Crook, S. E., Finn, S. M., Johnson, C. A., Mann, G. E., ... Wright, P. A. (2001). Functional electrical stimulation: from research into clinical practice. 46-50. Paper presented at 1st Conference on Biomechanics of the Lower Limb in Health, Disease and Rehabilitation, . Tedesco Triccas, L., Donovan-Hall, M., Burridge, J., Ellis-Hill, C., Dibb, B., & Rushton, D. (1970). Exploring the views on the current and future use of functional electrical stimulation in spinal cord injury: a questionnaire development study. Poster session presented at 2nd Annual Conference of the IFESS (UK and Ireland Chapter), Ireland. Teaching PhD students about research methodology, research project design and project management. Prediction of upper limb recovery post-stroke using wrist motor impairments: A longitudinal study of stroke recovery with 50 participants from 2 weeks to six months post stroke. Hospital and home-based feasibility study of iCycle for functional recovery after incomplete spinal cord injury (SCI). Function in Stroke Patients: A longitudinal study of 45 participants over six months. I am Professor of Restorative Neuroscience at the University of Southampton, where I lead the Neurorehabilitation Research Group and Chair the University of Southampton Strategic Research group ‘Health Technology’. 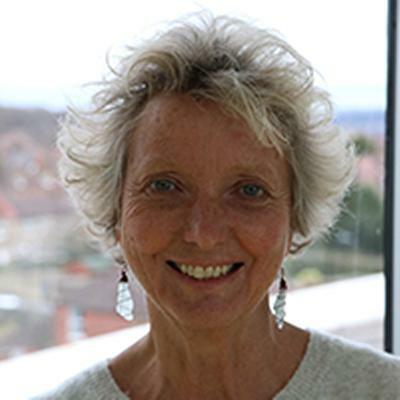 I graduated as a physiotherapist from Bristol in the UK in 1973 and after working as a physical therapist for four years, changed career and trained as a musician at the Guildhall School of Music and Drama in London. I developed a career as a performer and teacher of the flute and raised a family. In 1993 I began my PhD study at the University of Southampton and graduated in 1999. My research enabled response to Functional Electrical Stimulation for drop-foot to be better predicted by accurate measurement of muscle dysfunction. In 1999 I took up a senior lectureship at the University of Southampton as Head of Postgraduate Education with the remit to design and validate a multi-disciplinary MSc in Rehabilitation. In 2008 I was appointed to my current position as Chair of Restorative Neuroscience. Building on my experience as a clinical physiotherapist specialising stroke, the aim of my work has been to understand the mechanisms of recovery post-stroke and how this knowledge can be translated into evidence-based and cost-effective therapy. My research has therefore been into the development, evaluation and clinical application of novel rehabilitation technologies, informed by a better understanding of motor control, neuroplasticity and psychosocial factors. Most of my research is cross-disciplinary involving collaboration with the disciplines of: electronics & computer science, signal processing and health psychology. Between 2009 and 2013, funded by a UK National Institute of Health Research (NIHR) Programme grant, I explored the barriers to and opportunities for rehabilitation technologies in upper limb rehabilitation following stroke. We identified key factors such as lack of education and awareness (of both healthcare professionals and patients and carers) into rehabilitation technologies, paucity of evidence-based research and NHS funding systems that inhibit the introduction of new technological approaches to stroke rehabilitation. My work is funded mainly by the UK NIHR and Engineering and Physical Science Research Council (EPSRC), the EU FP7 and medical charities. It has focused on developing home-based rehabilitation technologies, combining robot therapy with Functional Electrical Stimulation (FES) using Iterative Learning Control, and with non-invasive brain stimulation using transcranial direct current stimulation in the treatment of post-stroke hemiplegia. My work also includes measurement of changes in EEG activity (synchronisation and de-synchronisation) in healthy people and in stroke rehabilitation using robot therapy. Working with signal processing engineers, we are developing novel ways to measure and analyse motor control and spasticity and how impairments relate to function in older people and patients with stroke. In collaboration with Health Psychologists we are interested in motivation and adherence in neurological rehabilitation and barriers to adoption of new technologies. In collaboration with Health Psychologists I have conducted research, funded mainly by the NIHR Research for Patient Benefit (RfPB) (2011-2014) into ways in which patients can be motivated to adhere to their stroke rehabilitation programme. Based on one of the few technologies that has strong research evidence, Constraint Induced Movement Therapy (CIMT), but which has not translated in clinical practice we developed a web-based support programme to enable patients to use CIMT at home without additional therapist input. 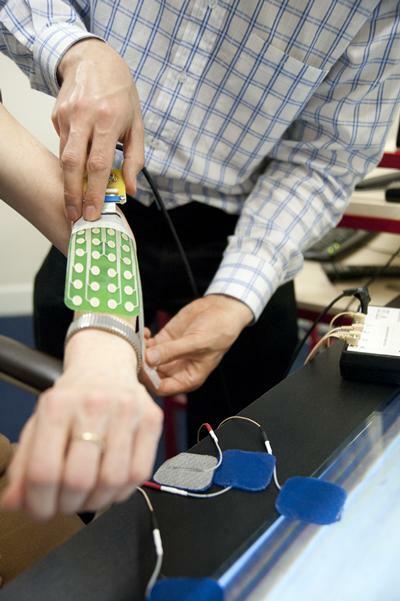 Most recently (Nov 2015) I was awarded an NIHR Invention for Innovation (i4i) grant to develop a new technology combining mechanomyography and inertial sensors into a garment to provide feedback to patients and therapists on amount and quality of upper extremity movement following stroke. This work involves collaboration with Imperial College London, two NHS Trusts and two UK companies. I regularly review proposals and projects for EU FP7 and (H2020), Future and Emerging Technologies, including Neurobotics and currently the NEBIAS project, Wellcome Trust, NIHR and EPSRC. I was President of the International Functional Electrical Stimulation Society from 2011- 2014 and am currently a member of the Editorial board of the Journal of Neurorehabilitation and Neural Repair, and the International Journal of Research in Rehabilitation. I am frequently invited to speak at major International conferences and summer schools e.g. UK Stroke Forum, World Conference of Neurorehabilitation and US STEP VI. for more information visit IV STEP 2016 website. I am a Consultant for International rehabilitation technology companies including: Bioness and MindMaze and member of the Scientific Board of Directors, Hocoma A/C Zurich. PhD supervision: I have Supervised 10 PhD students to completion and am currently supervising 8 students, three of whom are International. I have examined more than 14 PhD students including students from Europe and New Zealand. Education: I teach at Undergraduate and Masters level and co-led an EU Life-Long Learning project (€450k) to develop an MSc in Advanced Rehabilitation Technologies (MSc ART), which involved four European awarding partners and five Associate partners.